Living in this concrete jungle dotted with skyscrapers doesn’t mean you can’t catch an unobstructed, postcard-worthy sunset in Singapore. In fact, some of these tall buildings are home to spectacular rooftop bars that offer some of the most picturesque views and the most amazing sundowners in the city. 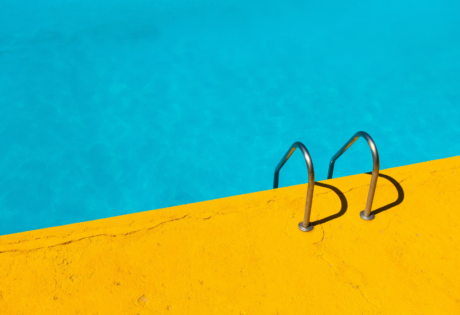 But that’s not all: there are also plenty of lush, romantic spots — parks, beaches and more — to watch the sun sink in the horizon. 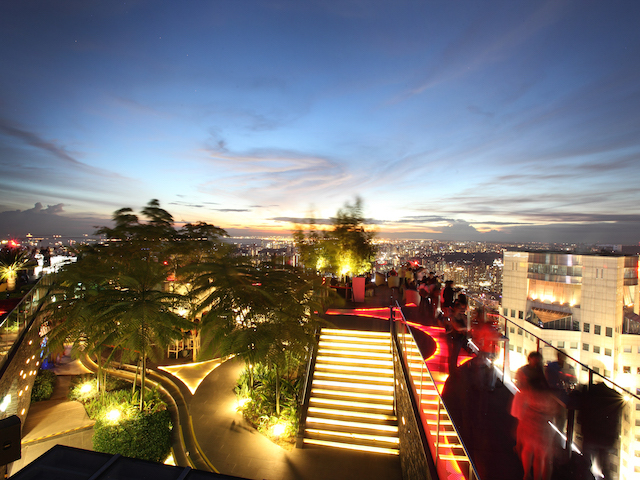 Here, we round up the best places in Singapore for a dose of evening magic. Take a walk along the 2.2km Changi Boardwalk and enjoy peaceful sea views and the kampung atmosphere along the outskirts of Changi Village as you head to the cool shade of Changi Beach Park. 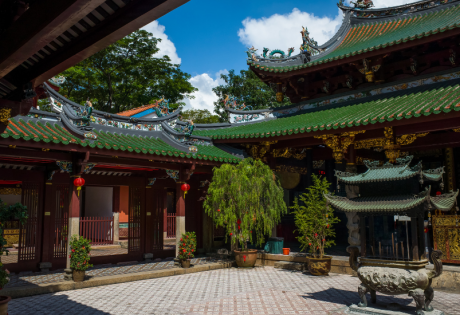 This is one of the oldest coastal parks in Singapore, and is a long-time favourite amongst locals for family picnics. 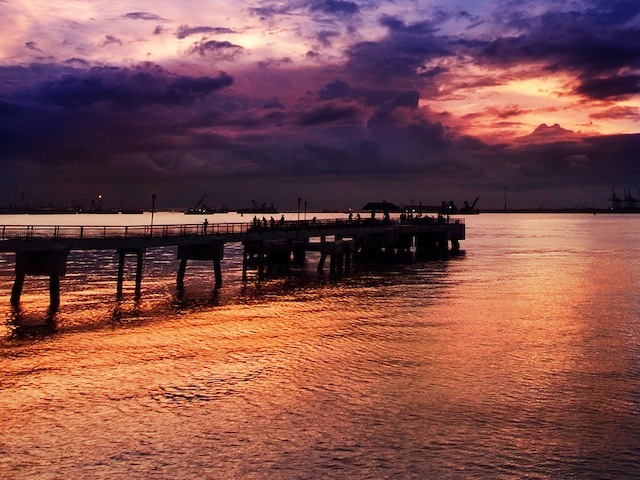 Make sure you watch out for incoming airplanes flying low over Changi beach, perfect for that sunset Instagram shot! Changi Beach PArk, Nicoll Drive, Singapore 498991. Sitting atop the heritage-rich The Fullerton Waterboat House, Prelude offers an unparalleled view of Singapore’s CBD skyline, the gorgeous Fullerton Hotel and Marina Bay Sands. The rooftop bar’s refreshing summer signature cocktails are our choice of poison; try the Merlion Punch that’s made with vodka, passion fruit, white peach and pineapple. Prelude, #03-01, The Fullerton Waterboat House, 3 Fullerton Road, Singapore 049215, p. 6538 9038. Cycle down to Jewel Bridge and watch the sun go down. Nestled in the north eastern part of the island, the idyllic riverfront destination is a hotspot amongst photographers. 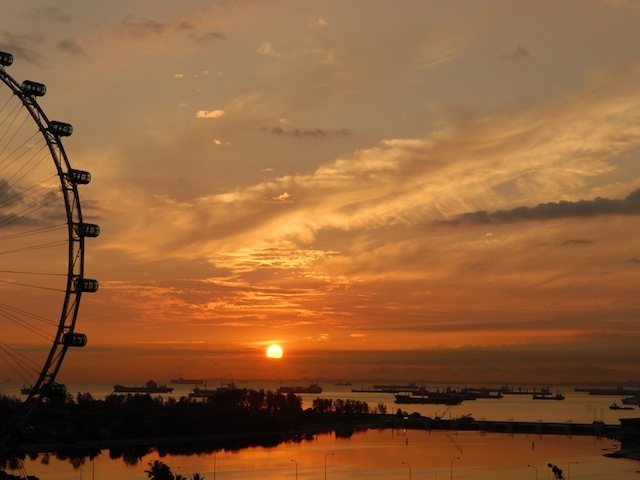 Take to the skies aboard the world’s second tallest observation wheel for scenic views of Marina Bay, the Central Business District, and beyond. The only trouble is timing when to jump on board, so that your trip coincides with the sunset. Singapore Flyer, 30 Raffles Avenue, Singapore 039803, p. 6333 3311. Elevate yourself up and away from the bustle of the CBD at the city’s tallest bar. Standing at 282-metre above sea level, this three-in-one venue houses an fully-alfresco bar (that’s 1-altitude), award-winning restaurant Stellar, and dance club Altimate. Between 6pm and 8pm, head up to 1-Altitude for its glorious soiree Sundown Affair that’s filled with endless sunset, summery cocktails, jazzy beats, and a killer view to boot. 1-Altitude, Level 61, 1 Raffles Place, Singapore 048616, p. 6438 0410. This all-in-one terrain characterised by its rocky shore, coastal forest, mangroves, mudflats, parkland and Adinandra belukar (a type of secondary rainforest) sits on the Southern part of Singapore and boasts a gorgeous sunset. Labrador Nature Reserve is also a historical site housing war relics like the WWII fort and a series of secret tunnels built in the 1880s under British rule. A little tip for cyclists and hikers: it’s connected via Southern Ridges, a 10km stretch of green open spaces that include Mount Faber Park, Telok Blangah Hill Park and Kent Ridge Park. Labrador Nature Reserve, Labrador Villa Road, Singapore 119187. The tallest structure at Gardens by the Bay, SuperTree offers a wonderful 360-degree view of the South China Sea and Singapore’s CBD skyline. Enjoy a scrumptious IndoChinese meal at the restaurant below, before heading upstairs for a glass of martini. SuperTree by IndoChine, #03-01, Gardens by the Bay, 18 Marina Gardens Drive, Singapore 018953, p. 6694 8489. Singapore’s fifteenth reservoir, Marina Barrage is a dam in Singapore built across the mouth of the bay, between Marina East and Marina South. Bring along a picnic mat and chill on the spacious rooftop garden, as you wait for the sun to set. Marina Barrage, 8 Marina Gardens Drive, Singapore 018951. 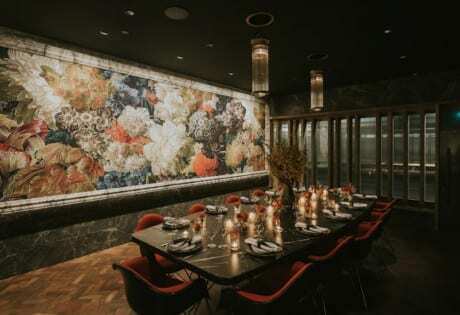 Formerly known as The Jewel Box, Faber Peak Singapore is a picture-perfect venue. Grab a table at Spuds & Aprons’ al-fresco area and relax as you wait for the sun to set. Faber Peak Singapore, 109 Mount Faber Road, Singapore 099203, p. 6377 9616. Situated on the second floor of Customs House is Kinki, a contemporary Japanese bar. A quirky mural by Miami Ink’s Chris Graver plus the rhythmic blend of beats give this establishment a cool, high-style vibe. It’s a particularly good joint to let your hair down, especially on a Friday night after work. Kinki, #02-02 Customs House, 70 Collyer Quay, Singapore 049323, p. 6533 3471.
is on a mission to find all the hottest happenings, nooks and crannies in our sunny city. An adventure seeker, she plans to explore the world once she’s conquered our little red dot.